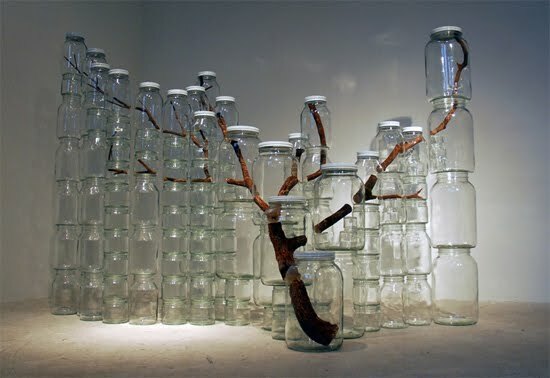 The Japanese artist Naoko Ito from New York has made a great piece of art using only a big tree branch and jars. 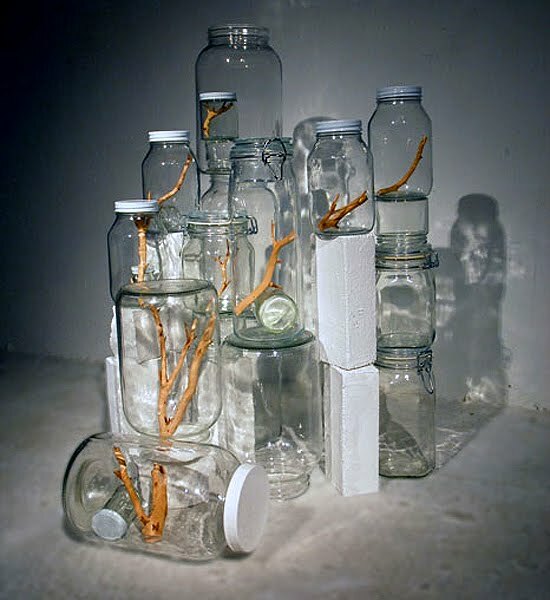 She has cut the branch into several pieces before putting them in the jars and then stacking the jars into the original shape of the branch, so it looks like the branch is growing inside them. 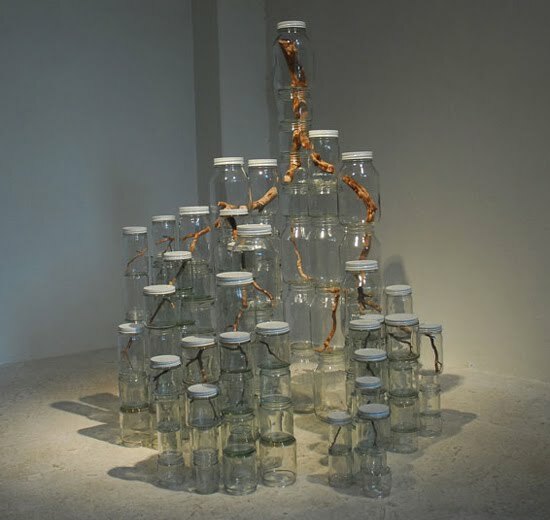 This art piece is called “Ubiquitous” and is a part of Naoko’s art series “Urban Nature 2009.” More interesting and magnificent Japanese artists are these farmers using their rice fields to express their art. What the French is that? How’d that happen? 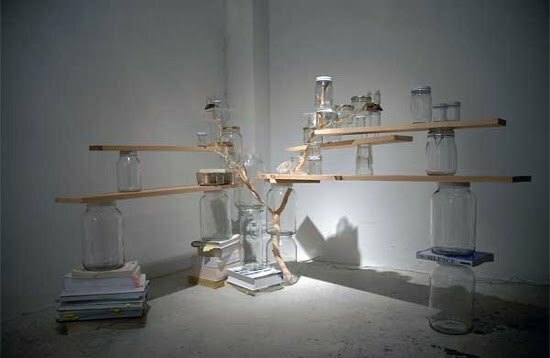 kinda creepy n awesome at d same time n yet still amazing.